Plenty is being done to support the PlayStation VR by Sony for their PS4 games library. New titles are in the works for the virtual reality experience, some of which can only be played on the PlayStation hardware. Sony’s PS4 VR has managed to carve out a niche in the market, not through its technical prowess but because of its price point and game collection. The PSVR could have been part of a fleeting phase, but Sony has managed to make it a firm piece of hardware that fans can look forward to being upgraded in the future. But is there something missing from the current PlayStation VR setup? Could it be that you’re looking for more mobility than what is currently available to you in current PS4 games? If that is a concern for you than a new piece of hardware called the 3dRudder might just be what you’ll want to snap up. 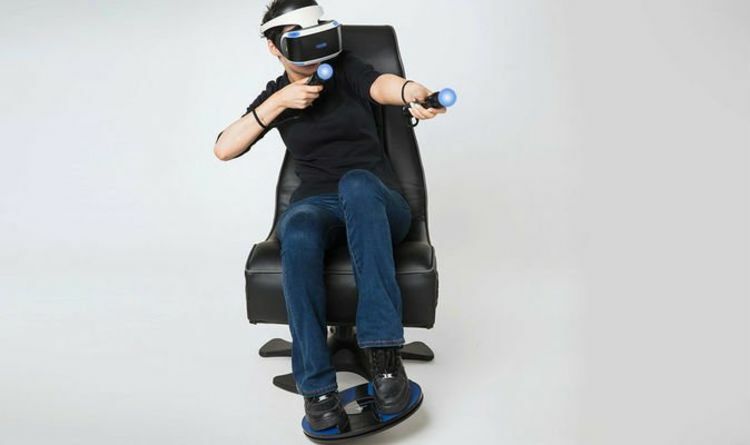 Cue the 3dRudder, a new motion controller for the PlayStation VR that handle movement through the feet. The 3dRudder is a new device for PSVR that allows users to move forward, backward, strafe left and right. It allows gamers to combine directions to explore areas and make it possible to do this without using a controller. And full motion control for VR can’t be sniffed at, anything that breaks immersion is a major problem that can lead to motion sickness. Full motion control means being able to speed up, slow down and stop exactly when you choose to. And doing this in a more natural way will only help to keep players grounded and perhaps allows for slightly longer playtimes. It also provides the bonus of allowing player hands to focus on shooting, looting, hitting just like they would in real life. The good news is that this new foot-powered locomotion option is already available in more than 20 PlayStation VR compatible games. Current PlayStation VR titles that will enjoy Rudder compatibility includes Ultrawings, The Wizards, DWVR, Pirate Flight, Sairento VR, Red Matter and Nature Treks VR. The 3dRudder has also been confirmed compatible with the Move Motion controllers, the Aim controller, and the Dualshock4 depending on the gameplay. Which means there shouldn’t be any hardware barriers when it comes to more games being added to the list in the future. A message on the official site reads: “The 3dRudder weighs less than 4 pounds, and using it requires effortless movements: just tilt the device, spin it or press your feet to trigger action. “It is also surprisingly easy to get familiar with: you’ll need a few seconds to intuitively understand how to use it and a few more minutes to master its controls. Ideal for daily use. As mentioned above, immersion is a massive part of the virtual reality experience and can help reduce the risk of motion sickness. So if it is possible to add a new element that helps to trick your brain, it will undoubtedly be welcomed by VR studios. Development teams behind VR tech have spent a lot of time trying to make things feel authentic and reduce the issue of scene-breaking elements. Walking into a table creates feedback, popping balloons creates surface effects and releases confetti. And now more natural foot movement could be the next big thing looked at as a tool for this area of virtual reality development.